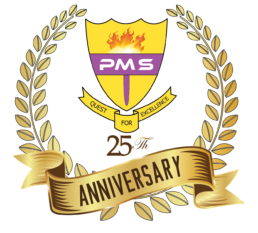 Prime Montessori School, Satellite Town, Lagos has reached its 20th year milestone today. Congratulations to the resourceful Proprietress, diligent Director, wonderful staff and brilliant pupils on reaching this fantastic achievement. Congratulations to a very awesome school on her 20th Anniversary. I am very much proud to be a product of this great school. It laid a great educational and moral foundation for me that has helped and guided me through life. I am extremely grateful to the proprietress Mrs. Agun for her motherly role and her principles which I found to be very useful and has definitely added a great value and impact in my life. I wish you and your staff members many more successful years. The school is indeed a great first step for children in their Quest for Excellence. Wow, my alma mater has achieved 20 years of greatness. Congratulations PMS. Hurray! Hurray!! Hurray!!! for PMS. Hurray for the Lord,Hurray for the board,Hurray for the proprietress,staff and all!!!! “School with a difference”. The things i have seen them do: teachers, students, management, is amazing. This school has indeed a solid foundation of excellence for our kids. ” We are what we repeatedly do. Excellence, is therefore not an act but an habit”. That is a slogan you should use ma’am. Congratulations to the entire staff , students and management on you 23rd anniversary. I had great educational memories and I am happy I attended you. “…Our School began in 1993! All teachers, Scholars are trying their best..
Congratulations PMS!!! Pls keep up the standard while we keep the flag flying. As a #1994/5 pioneer set, I salute you all! Anyone from the 1997/98 set here? I left the country after graduation and I have been trying to reconnect with my classmates since.